The second Tactical weapon is comin from the label-headz, Marc & Jens . Bringin you some oldschool vibemania packed in a modern house costume including a catchy saxyness! The release is topped by a flying dutch remix of Jesse Voorn & Eric Decks! Marc Fisher, DJ and producer from Düsseldorf / Germany, can be found in clubs all over the world. You can follow his music from UK, Ukraine, Russia and Belarus in the east over to Ministry of Sound in London, through Germany via Pacha and Cream to Gran Canaria and Mallorca, Turkey to Tel Aviv in Israel . In summer 2007 he was invited first time to the KaZantip festival in Ukraine and rocked the crowds with his energetic, pumping yet sophisticated electronic sets, which instantly gained him recognition throughout Eastern Europe and play every year on the Kazantip festival. He always dealt with music: In his younger days Marc used to play drums. In 1995 he started his career as a DJ in clubs around his hometown Bielefeld (Germany). First residency was the seminal club project in Bielefeld, many more were to follow, such as the prestigious Elephant Club. After this he opened his first own club called Fahrenheit near Bielefeld.During his career Marc Fisher has shared the turntables with the world’s top DJs such as Armand van Helden, Eric Morillo, Roger Sanchez, Timo Maas, Eric Prydz, Axwell, Steve Angello, Bad Boy Bill and many others. In 2004 he started to work as a producer and had several releases under the names Mister Twister / M. Fisher / Groove Cowboys and his Project Fisher & Fiebak. Especially his project House Connection had a great success and made it with three tracks to the no. 1 spot in the sales charts of web-records-com, Europe’s biggest vinyl retailer, and became one of the best-selling tracks of the season. 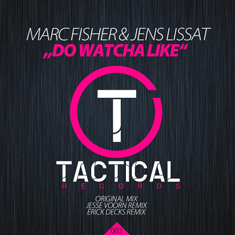 Marc Fisher’s productions found their way into the cases and playlists of many top DJs and landed him the first big remix job for Eric Prydz & Steve Angello´s “Sunrize”. As well, he was quite successful with remixes on Pet Shop Boys, Mariah Carey, Sebastian Ingrosso, Bad Boy Bill, Kim English, Richard Dinsdale, Stefano Noferini, Joachim Garraud, Markus Binapfl, Mark Knight, Funkagenda, Davidson Ospina, Oscar P, Junkdna, Barbara Tucker, and many others. His tracks and remixes are on labels like Subliminal, Nervous Records, Pacha Recordings, Starlight Records, Hed Kandi, Hotfingers, Oxyd Records, Tiger Records, Doorn Records and Soda Records.